Our Company – Purity Oilfield Services, LLC. All Rights Reserved. Working together to deliver a faster solution. Founded in 2012, Purity Oilfield Services, LLC is headquartered in Dallas, Texas, and is built on the principles of providing quality services and integrity for clients nationwide. In fact, our growing operational footprint includes oilfield operations in the Permian Basin of West Texas and New Mexico, as well as South Texas, the Rocky Mountain regions and, internationally, in Canada. Wherever you need our services, we’ll deliver. Services delivered with experience and pride. Through our vast product offerings, attention to detail, and a keen understanding of each client’s individual business, we create unique service packages that not only save time — they save money. It’s all a part of our efforts to be adaptable and provide you the services you demand. Purity’s mission is to offer service that exceeds your expectations while building a positive workplace that enhances our community. Our purpose is to provide a usable and well-maintained product resulting in unmatched service for ALL our clients. Our vision is to be the premier service company. With integrity as our guide, we will decisively and aggressively exceed your expectations. Attention to detail, Efficiency, Don’t cut corners, Clarify goals and objectives, Listen to and deliver the customer what they want, Operations and Safety working in sync-Safety First! Purity was established by a family with deep roots in the oil and gas business that realized a need for reliable services in the oilfield industry. 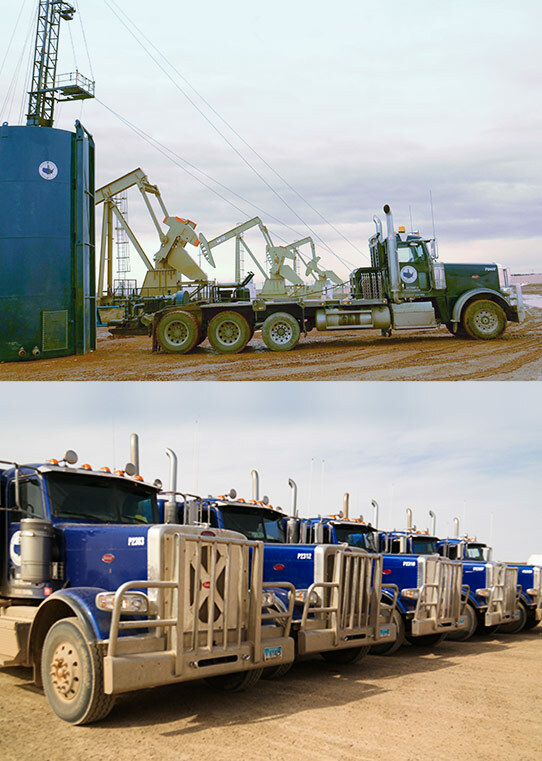 Purity started with an inventory of 408 rental items in Williston, North Dakota, offering frac tank rentals, generators, and light plant rentals before expanding into oilfield trucking, water transfer, and other field services. Purity added a trucking division consisting of vac trucks, winch units, pipe hauling, and hotshots. The trucking division grew to include over 100 trucks operating in the Williston Basin, and Purity added a water solutions division and wellsite coordination consisting of water transfer services, water logistics for completion operations, and more. Purity’s rental fleet expanded again, adding a full line of tank rentals, Purity Ponds, oilfield pumps, power swivels, pipe wranglers, and generators for oilfield rentals and services. Purity added a pipe and inventory yard in Williston, inventorying clients’ pipe and other equipment holdings in the Williston Basin. Purity opened its newest district in Midland, Texas, servicing the Permian Basin and southeastern New Mexico. High demand for Purity’s quality-driven services led to the addition of a service point in Douglas, Wyoming, serving the Powder River and DJ Basin. Purity has since added yards in Pecos, Texas; Big Lake, Texas; New Town, North Dakota; and Killdeer, North Dakota. The company continues to serve clients with expanding oilfield services by providing equipment rentals, water transfer, trucking services (now with a fleet of over 200 trucks), wellsite coordination, and safety consulting. Purity has provided quality oilfield services to more than a dozen of the largest oil producers in North America.